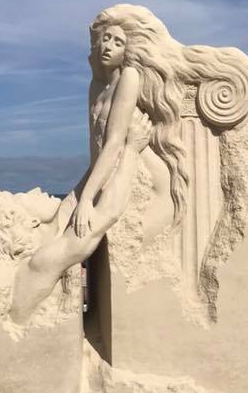 We’re near the peak of sand sculpture season, and the works being created this year by artistic sand masters seems to be as good or better than ever. 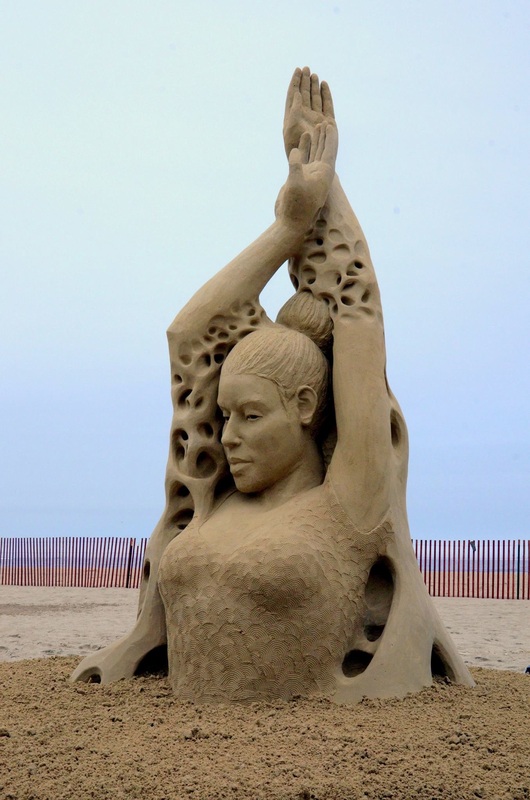 “Muse” by Pavel Mylnikov, first place at the Revere Beach International Sand Sculpting Festival. 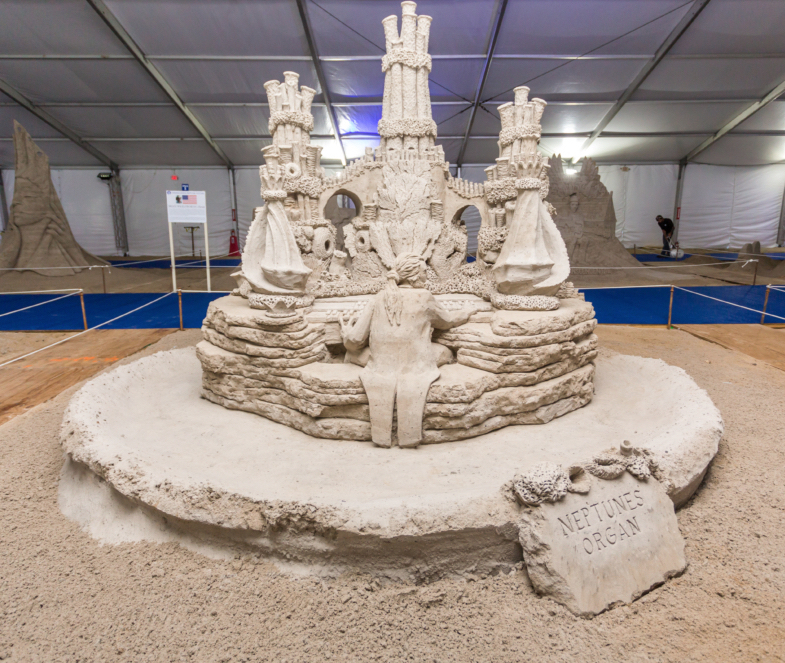 The latest event this past weekend was the Revere Beach International Sand Sculpting Festival in Revere, Mass., billed as America’s first public beach. The first photo on this page shows the top prize winner in the contest titled “Vanishing Muse,” and the artist is Pavel Mylnikov. The second photo shows the People’s Choice Award, titled “A Nouveau Love” by Rachel Stubbs. 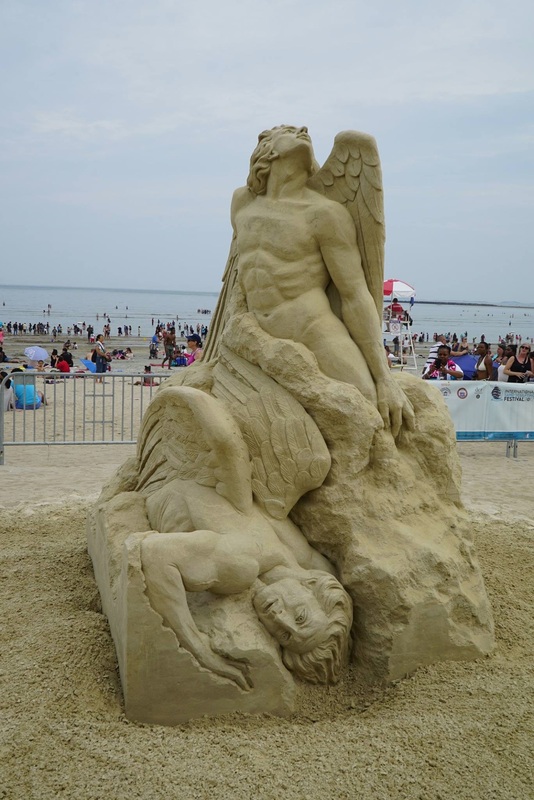 See all the winning photos on the Facebook page of the Revere Beach Partnership. Photographer Joe Siciliano of RevereBeach.com posted some nice photos on the website massive.com. Meanwhile, WBZ-TV in Boston produced a video of the event. In Cannon Beach, Ore., the annual Cannon Beach Sandcastle Contest attracted large teams of sculptors at various skill levels. The NBC Nightly News with Lester Holt visited the festival and produced a national story, shown in the video on this page. Results of the contest along with pictures can be seen on the festival’s website.